For an introvert, it doesn’t get much scarier than a panel job interview. Speaking in front of a group of people can get the sweat pouring. It may not be an easy feat, but there are some things you can do to reduce your stress and impress your jury of potential employers. Ask for details about the interview before you arrive. 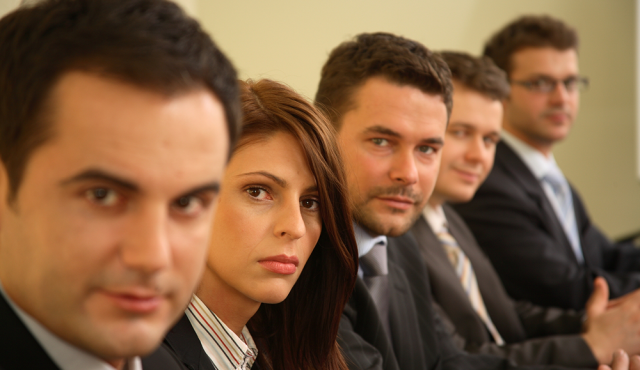 Ask the hiring manager for the names of the panel members and their positions in the company. Then do a little online snooping to see what you can find out about their backgrounds. This information will help you think of potential questions, and it will humanize the interviewers. It’s a little less scary to interview in front of people who are no longer complete strangers. If you know the CEO attended the same college as your uncle or the top manager loves to travel, then you can use these points of commonality as icebreakers. Many introverts fear fumbling over their words in front of a panel. Make sure you’re ready for any scenario by doing some mock interviews in advance of the real deal. Search online for common interview questions and have a few peers or family members sit in front of you and ask them. Prepare answers so you’re ready for anything. 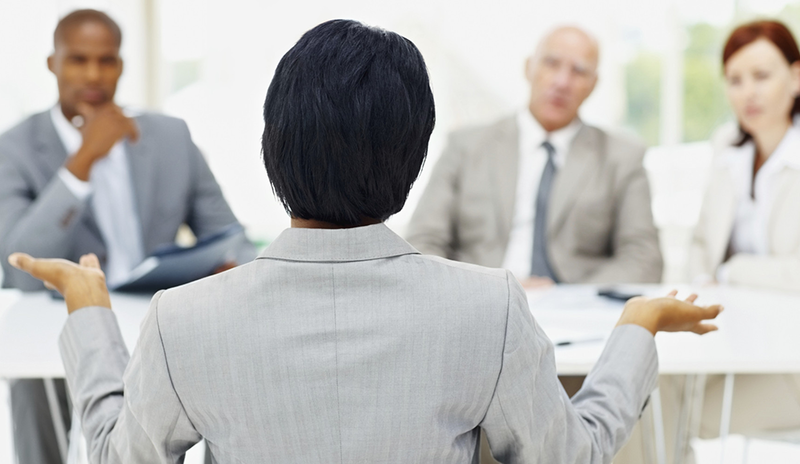 Even the most thoroughly prepared person may be thrown by a curveball question during an interview. Think about how you’ll handle this situation so you don’t find yourself in a tailspin that ruins the rest of the interview. Introverts often feel uncomfortable with small talk, but it’s hard to avoid in the interviewing process. Prepare a few topics and rehearse with friends if it makes you more comfortable. Avoid hot-button issues like the upcoming presidential election or recent moments of civil unrest. Instead, focus on more lighthearted fare – e.g., college sports, your hobbies, or places you’ve traveled. The interviewers should already have your resume, but it’s a good idea to bring extra copies in case there are late additions to the panel. Also, bring a notepad and pen. The first page can include your talking points and questions you want to ask. If it will help put you at ease, add encouraging quotes to your notes as well. Traditional advice is to wear a suit to an interview, but the changing business landscape means you may have to wear something else. Research the company and find out its dress code; then wear something slightly nicer than what the employees wear. For example, if it’s a startup where everyone wears jeans, choose a business casual outfit of khakis and a collared shirt (even the most casual offices may frown on someone who wears jeans to an interview). Whatever outfit you choose, make sure you’re comfortable. Sitting for an hour in shoes that cause blisters or a tie that scratches your neck will not help you feel at ease. No matter how terrified you are, you have to smile. It shows confidence and ease, and it leaves a positive first impression. Also, your interviewers will likely be more forgiving and understanding of any mistakes you might make if they see a genuine, smiling face before them. A panel job interview can be a stressful process for an introvert. Being prepared can help you not only survive, but also thrive.